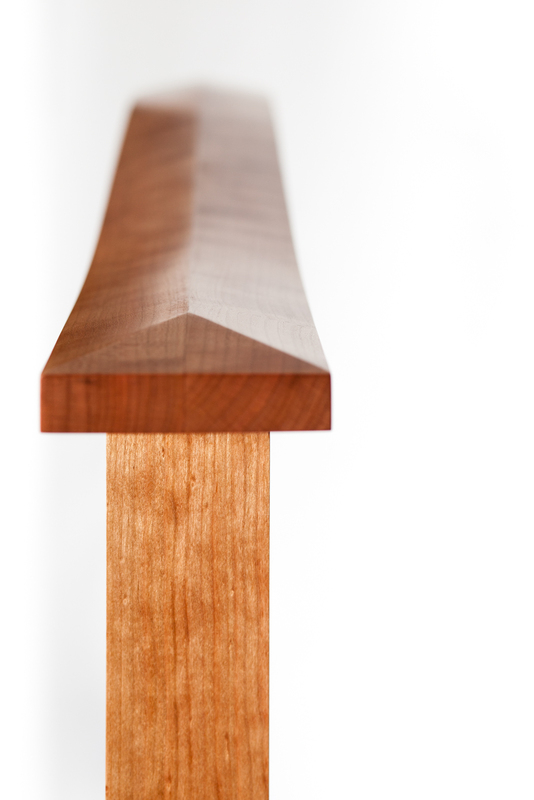 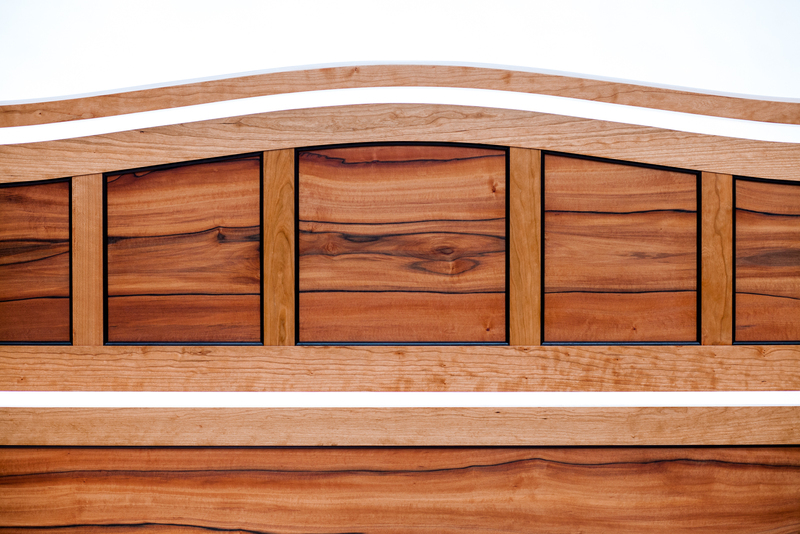 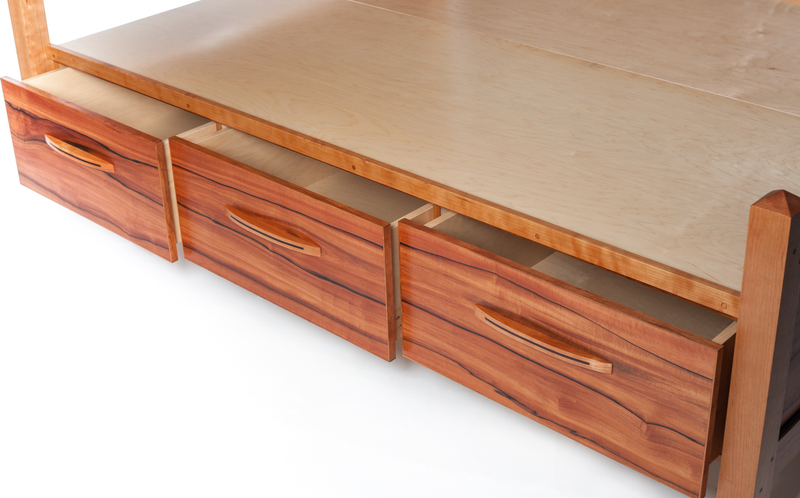 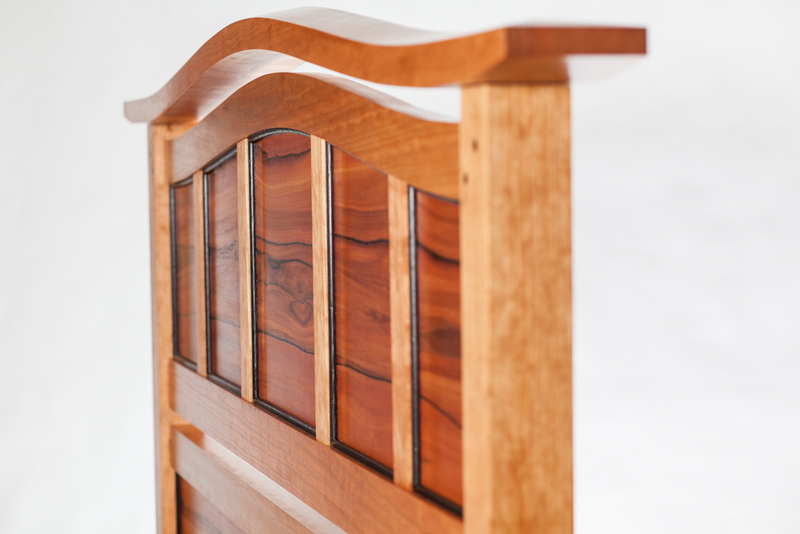 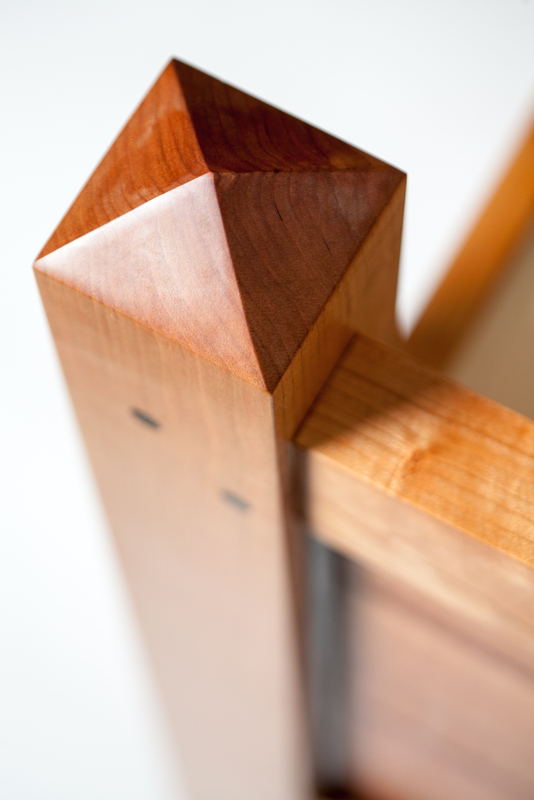 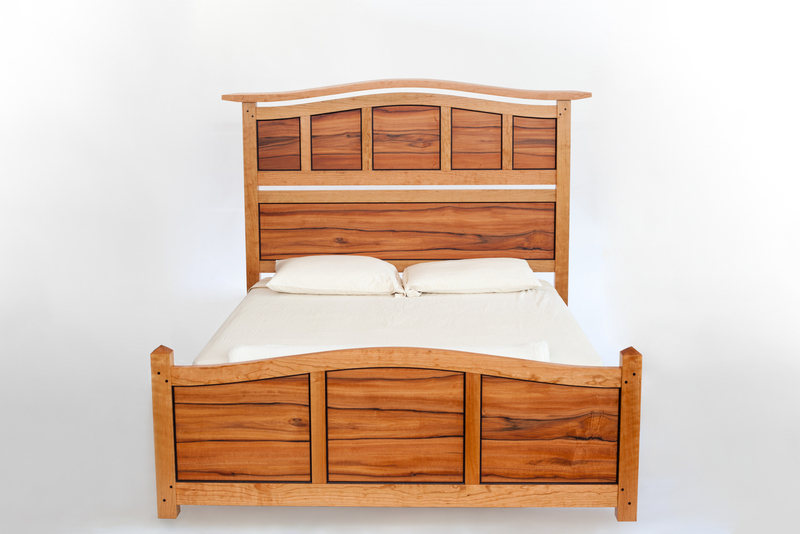 Solid cherry bed with continuous grain tineo-veneered panels. 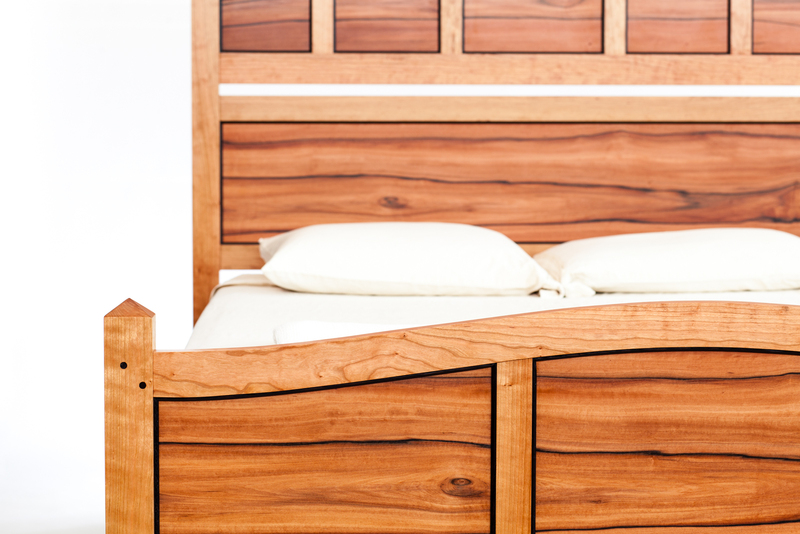 Three cedar-lined drawers on each side of bed provide seasonal linen storage. 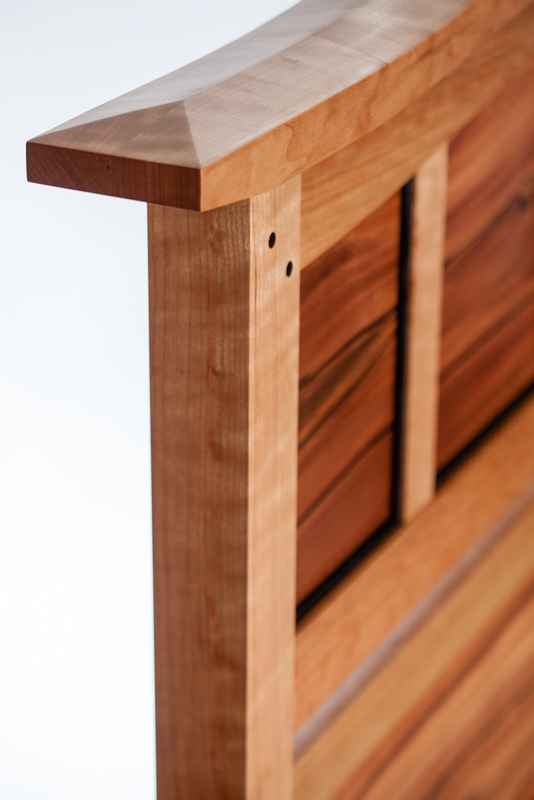 Satin hand-rubbed finish with fine paste wax topcoat.